Charlie and his team have been going above and beyond to make the lightest drivetrain system in the history of U of R’s Baja Team. 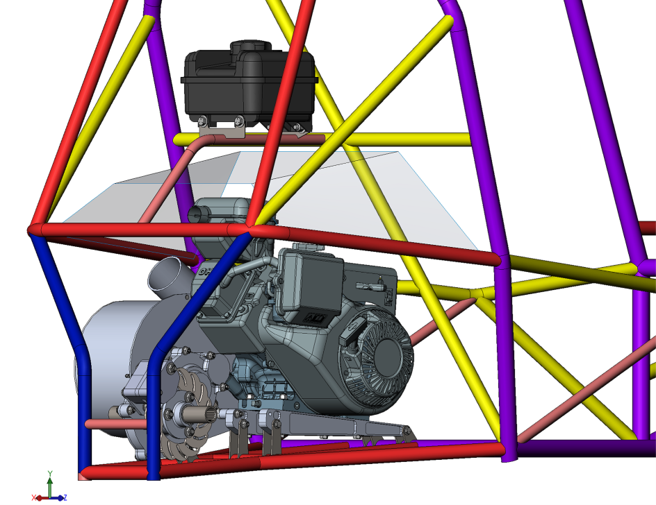 By running several different models in NX, Charlie and his group have been able to reduce the size of several elements of the gearbox. Because of their determination, Charlie’s group has been able to design the thinnest gearbox in the history of the team. Another big change to the drivetrain system is the tensioning system. Previously, we’ve always had slots in the engine brace where we were theoretically able to slide the engine to tension the system, but unfortunately, this system has always been harder to operate than intended. This year, we will be running a tensioning rod from the engine to the gearbox, and the gearbox will be mounted in such a way that it can rotate about the output shaft. If this system works, we will be able to quickly tension the system by simple rotating a rod. The system is a bit complicated to explain in text, but Charlie will be revealing the final design with pictures during his design review. So if you’re interested, make sure to check out the finalized design. Besides the tensioning system, Charlie’s group has been working on reducing the weight of the four gears in the gearbox. Last year, we tried to make spoked gears, but we ran into issues with our analysis and manufacturing that caused a gear to fail during competition. This year, while we are still removing a lot of material, we are going back to the tried and true method of cutting a pattern of holes in the gear to reduce the weight. 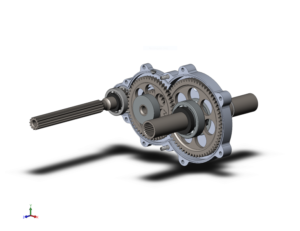 We might try to design and test a spoked gear later in the season, but for now, this is one aspect of the gearbox that we are being a bit more conservative with the design. 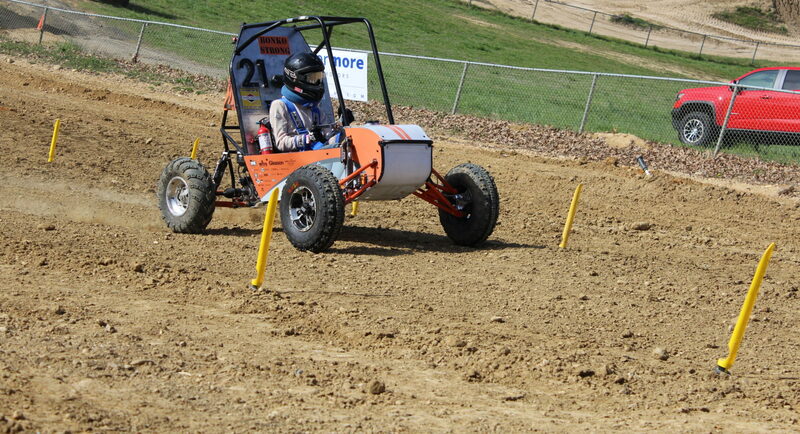 Also, this year we are trying to understand how to tune the CVT in a way that we’ve never understood before. We are going to be working with Professor Funkenbusch and Professor Muir to design a procedure for testing all the variables in the CVT system. We want to understand how to maximize our performance in various dynamic events by changing the weights, springs, preload, and ramps inside the CVT. This will be an interesting experience since if we tested every single configuration, there would be thousands of trials. So, we are currently working on designing a procedure that gives us insight into as many configurations as possible without forcing us to spend the rest of the season testing. Hopefully this will greatly improve our performance, especially in the acceleration run. Finally, I’d like to give a huge shout out to one of our biggest individual sponsors, Jerome Toporek. Thanks to his generous donation to the team, we were able to purchase photogates this year. These photogates will make several tests, such as the CVT test described above, possible. The data that we get from these tests will be invaluable, and we are very thankful that Jerry is making this testing possible.